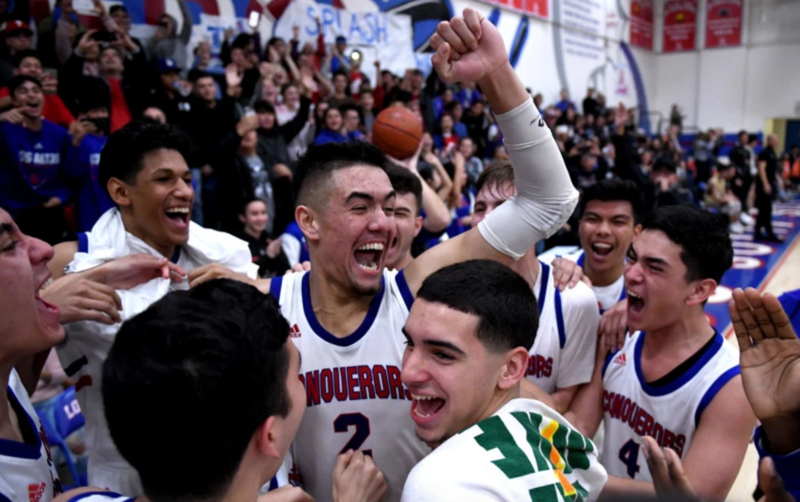 Los Altos’ Jarod Lucas reached the mountain top and he did it passing some of the greatest names to ever play high school basketball in Southern California. 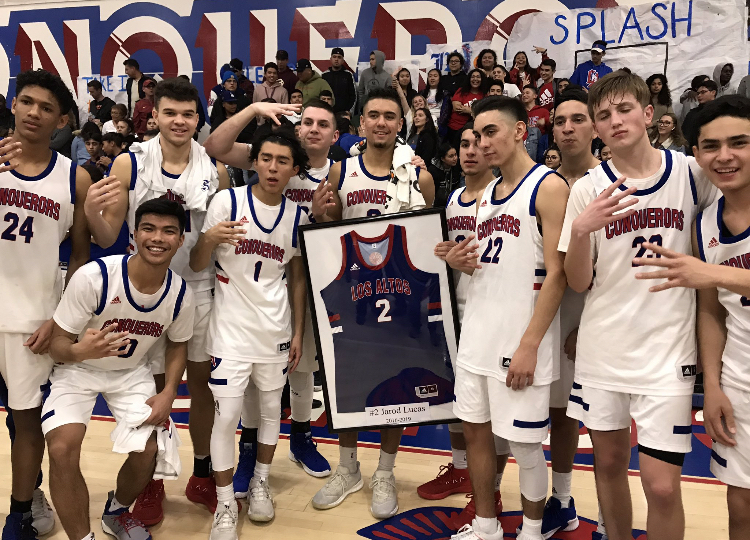 Lucas was on a mission to set the CIF Southern Section career scoring record in Thursday’s Hacienda League home finale against West Covina, and he did just that, pouring in 52 points to become the all time scoring champ. And to add to the theatre, Los Altos held a ceremony afterward to retire Lucas’ No. 2 jersey, becoming the first Conqueror in school history to have his jersey retired. 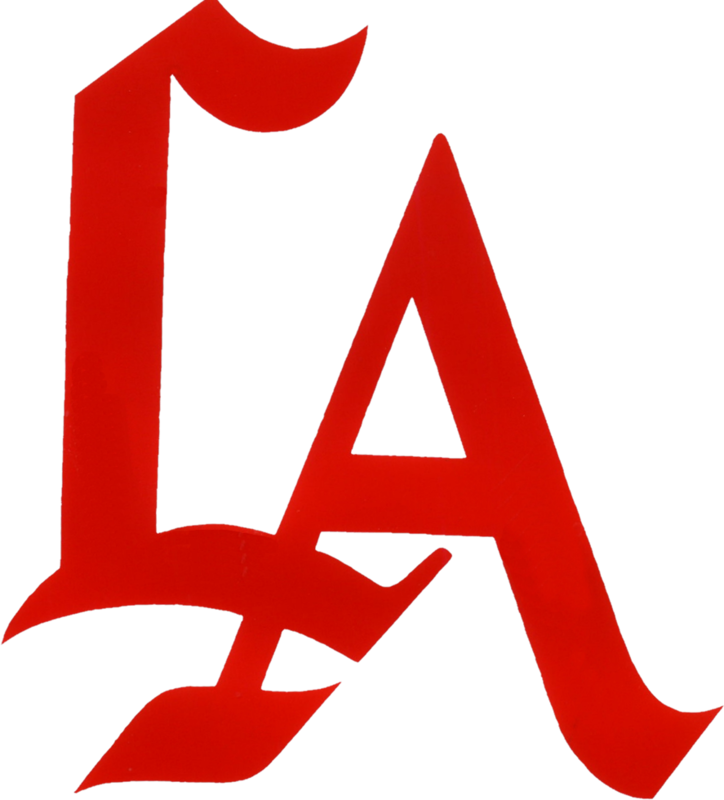 Lucas, who began the night trailing all-time leader Casey Jacobsen (3,284, 1996-99) of Glendora by 51 points, is now the all-time leader with 3,285 points heading into next week’s CIF-SS Division 1 playoffs. Not bad for a 6-foot-3 kid headed to Oregon State who got to stay home with his neighborhood team and play for his dad, coach Jeff Lucas, and have such a historic four years. And he did it in a 97-58 victory over West Covina while the Bulldogs spent the night double and tripling him, and seemingly trying to do everything to not let Lucas break the record. “I’m not sure what that coach was thinking,” Lucas said. “Especially toward the end with six minutes left and I needed two points and they had three guys on me and two the whole game. I’m just blessed.”Lucas scored nine points in the first quarter, then scored 18 points in the second and third quarters before getting the seven points he needed in the fourth, then checked out with just over four minutes left to call it a night. 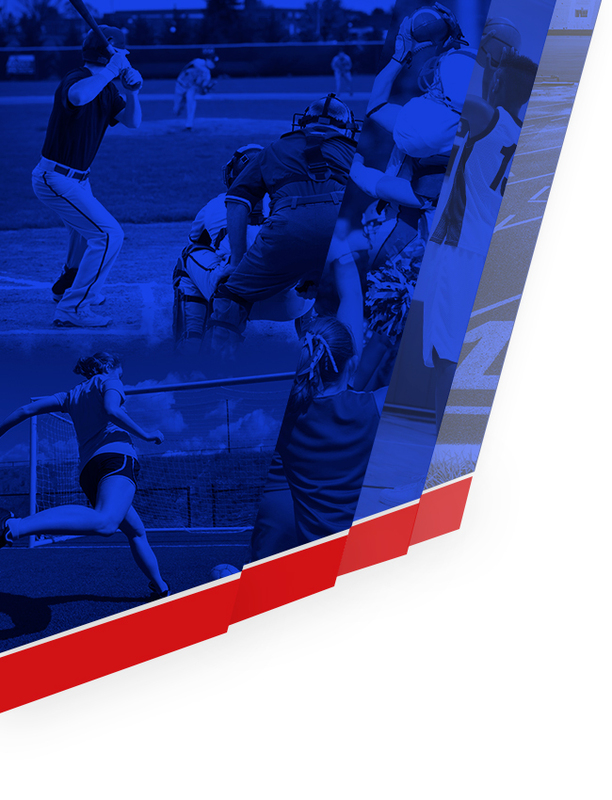 It was a goal he thought was possible, though a longshot, when the season started. 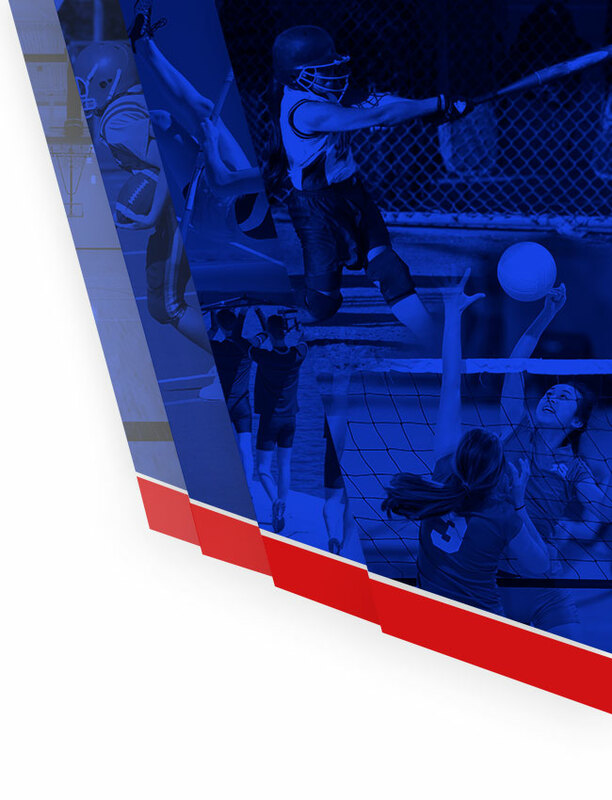 Los Altos improved to 23-5 and finished a perfect 10-0 in the Hacienda League, which it won for a fourth consecutive year. Lucas’ senior scoring tear has been the best in San Gabriel Valley history since Glendora legend Tracy Murray averaged 44 points a game to set the CIF-SS single-season scoring mark of 1,505 points during the 1988-89 season. Lucas, averaging 40 points a game, raised his single-season scoring total to 1,118 points, which is fifth all-time in CIF-SS single-season history. Lucas not only passed Jacobsen and Campbell Hall’s Aaron Holiday (3,260, 2012-15) on Thursday, but his career total is now fourth all-time in California history. The California all-time scoring record is held by DeMarcus Nelson, who finished with 3,462 points playing for Vallejo and Sacramento High in the Northern section from 2001-04. Congrats on making history my brother!!!!!! !